This paper origami for kids will be interesting to those parents and educators who want to start teaching children origami. It's both an interesting and plain activity for beginners. 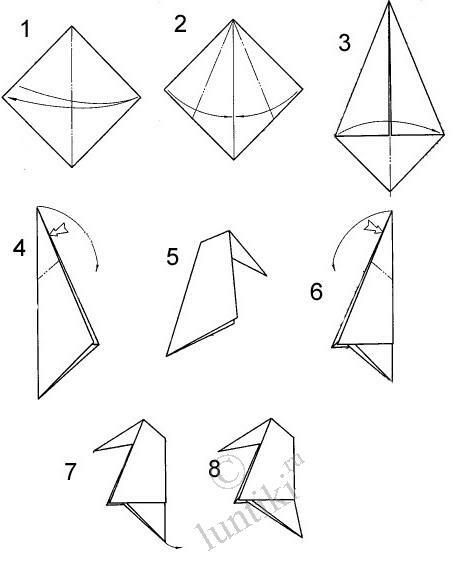 I'll show you an easy origami scheme — how to make a Crow out of paper. We can't admit a crow to be a nice bird, but it's a good specimen for so-called «home breeding». If you have your own designs for origami, share with us, please!